Ahavath Messiah Ministries seeks to involve ourselves in the local Jewish community, building relationships and a rapport through the synagogues and social events providing an avenue by which to impact Jewish people with the Gospel of their Messiah. Ahavath Messiah translated from Hebrew means Love Messiah. 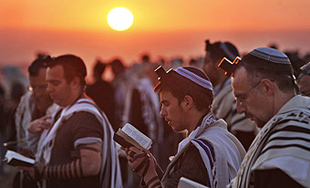 The purpose of Ahavath Messiah Ministries is to take the Love of the Messiah to Jewish people so that they may come to faith in the Messiah of Israel. Equally as important is the need for us to encourage the believers in the churches to embrace their responsibility to extend their witness of Messiah to Jewish people. Having known and supported Brother Al Reichman for almost 20 years, I find it very easy to validate his character and calling to the ministry of reaching those whom he calls "his people". Here at Parkwood we've found Brother Al to be both educating and edifying, he has mastered the subject of the Jewish people from a Biblical and cultural perspective and conveys a heartfelt desire to reach them with the gospel. Join us and experiance the land of the Bible! 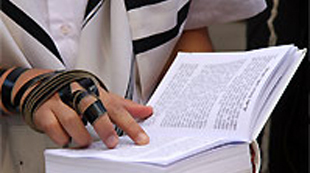 Watch your Bible come to life as you view the Jewishness of the land and the scriptures. Learn the back story behind those cherished passages and your Bible will never read the same. Join us for this life changing experience. There are over 300 prophecies concerning the coming and person of the Messiah. In all of man’s history, there is only one in whom we find every prophecy fulfilled and this one being Yeshua. Who will one day return in supernatural glory to establish a supernatural kingdom on the earth. To subscribe to our monthly Prayer Letters, please go to the contact us page, enter in your information and select the e-mail prayer letter option. To view previous Prayer Letters, please go to our archives section. We thank you for your support!